Spirit has established itself in making fitness products in the year 1983, with the simple goal of giving the customers the highest quality equipment to help them achieve their fitness goals. Spirit is dedicated to make sure that each new equipment design meets the equal challenging standards that have crafted the Spirit Fitness brand.Spirit has been a leading brand for over last thirty years, and work to be continued being so with delivering a quality experience with their equipment. Spirit take care that their products becomes an investment for the customer and the design them to keep pace with long-term fitness goals. All of the Fitness products of Spirit are manufactured under ISO-certified factories for steady quality. Spirit has always been passionate about manufacturing products based on innovation that improves the customers’ experience. This brand was one of the first to integrate cooling fans on their products; a high-quality fan is now standard on nearly all Spirit Fitness products. 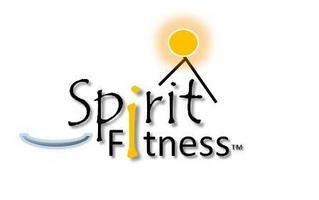 Spirit makes workout a fun as it also incorporates audio speakers for MP3 players on most of their products. The number one reason people stop exercising is from boredom, and it is a fact that if you are a little more comfortable, you will work-out longer and achieve your fitness goals that much faster. These, along with many other exclusive features, are put into the products list to help you achieve success. Spirit Fitness products price range starts from $1999 dollars.There are many companies that produce fitness equipment, but few that focus on the details that you will find in a Spirit Fitness product.